Watermelon farmer-turned racer Ross Chastain is having a solid year in the NASCAR XFINITY Series, looking for a Chase berth with JD Motorsports. DAYTONA BEACH, Fla. — Ross Chastain is an eighth generation watermelon farmer. Born and raised in Alva, Fla., Chastain has grown up watching his father Ralph Chastain and grandfather Jim Prevatt work and build successful watermelon farms across southern Florida. Despite having helped and assisted on the farms, Ross’s niche did not come in the fruit-growing business. Instead, he followed his father and grandfather’s footsteps down a much different road. At 12-years-old, Ross became a third generation racecar driver (his father and grandfather competed on Florida short tracks during their careers on-track) — and from there, his potential has been limitless. After cutting his teeth on local short tracks in Florida, much like his father and grandfather, Chastain progressed to late models across the southeast and success soon followed. Chastain triumphed in three events and won the championship during the 2011 World Series of Asphalt Stock Car Racing at New Smyrna Speedway. He also scored late model track championships at Punta Gorda Speedway and at the Orlando Speedworld. At that point, Chastain had surpassed his ancestors on the racing side. He was taking the Chastain name from Florida watermelon farming to the peak of motorsports. In 2011, Chastain debuted at the NASCAR national series level, piloting the No. 66 Chevrolet in the NASCAR Camping World Truck Series for Turn One Racing with backing from a very familiar organization — the National Watermelon Promotion Board. 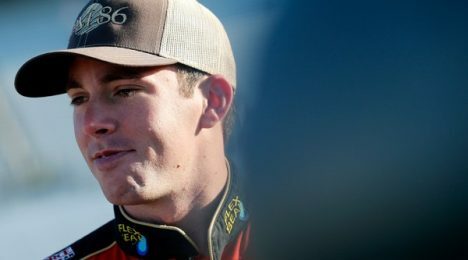 Through his starts in the Camping World Truck Series — with Turn One, SS Green Light Racing, Brad Keselowski Racing, and Ricky Benton Racing — and even into his current NASCAR XFINITY Series career, the National Watermelon Association has backed Chastain on multiple occasions. The Best because he represents Our God in a very respectful way. He honors all and respects all. His modesty does not reflect his ability to speak truths to others and promote great products like Watermelon associations, around the United States, Flex Seal, Dream Water. Ross speaks truths about all…. Thank you, Susan and Ralph for bring up such a fine man!